A Truly unique catering experience for you business event of private party. 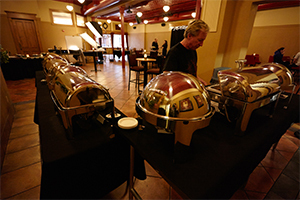 Whether you’re hosting an event for a group of 400, or you want to have a fun get-together with a party of four, Old Capital Catering will provide you with a food and beverage experience that will leave people talking! Th sky’s the limit when you work with us. We don’t just offer a set option of food items. Rather we listen to your vision and goals and create a custom menu just for you. We also guide you to beverage pairings that will enhance the dining experience. 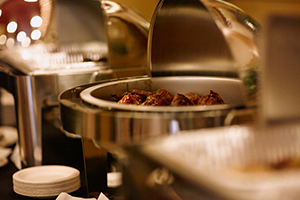 And, with Old Capital Catering, you can expect nothing less than dishes created with fresh, quality ingredients and the highest level of service from a staff that will bend over backwards to make your event a huge success. 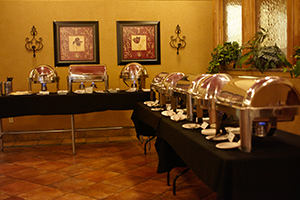 Catering for any size event–from large groups to an intimate party with friends. 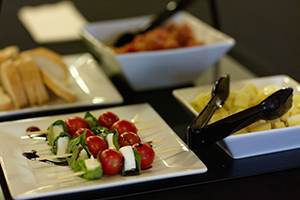 Custom food and beverage options specific to your tastes or event. Educational parties with Beer Dinners, Whiskey Pairings, Cocktail Parties, Wine Pairings. Have a fun time with time friends and learn how to create the perfect mix of food and beverages. Professional staff that can help you with all aspects of your gathering. Just ask, we can do it! Contact us today and let's start planning your next party or event!